Meet Satiia St. George, who is a Claivoyant Medium who uses cards and also taps into Spiritual guidance with prayer. She's been doing readings for 25+ years! Read a little more about her background and readings. Hi Satiia! Thank you for taking the time to fill out our questions! Psychic World (PW): Please tell us your name and how you describe what you do. Clairvoyant Medium with over 25 years of experience. by getting information from my Guides & Ancestors. Tarot & other Oracles, I have found that this has become a very effective. PW: Do you have a story about how you got started? How long have you been working with your gifts? Satiia: During my teens, I studied various eastern philosophies and western religion. I learned to read the IChing and the Runes. Later, when I turned 19, I became very much into prayer. I was told to go to a Christmas party because someone I liked would be there. Spirit named him and told me he would be wearing a red sweater coming down some stairs with a garland wrapped around the banister. I went with resistance because I didn't want to go to this party. I waited, but he wasn't there. I thought I it was just wishful thinking on my part and not Spirit at all. I decided to wait a while longer and a little after midnight he came downstairs, and the banister was wrapped in a garland, and he was wearing a red sweater. Thus began experiencing my Clairvoyant gift. PW: What are your favorite tools/decks/methods of reading? 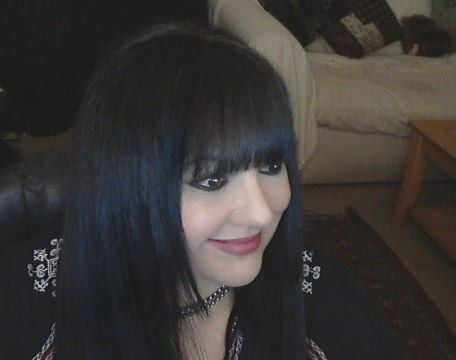 Satiia: My favorite method of reading is with prayer, and cards, and also doing mediumship readings. I love to take my time with each of these methods and wait until the Spirit is with me. It has taken some skill to learn how receive messages quickly when working on the internet, but I do get it pretty fast. Since I am highly sensitive, I have a method to meet people's questions online as quickly and as accurately as I can. I ask for specific questions only and that helps to speed along the reading, leaving more time for more questions, and also gives me time for short prayer, and much greater accuracy. I am not reading to "wow" anyone, but only to act as a go-between from Spirit to the client, and impart the truth. I believe many people are used to general readings, but I only do these in person, where I can see and feel of the person's energy in the flesh. I will help a person to think of a specific question... as all general questions lead to specifics in the end. My favorite is working as a medium wherein no tools are used. Depending on who I am channeling for and the ancestor, I can become quite emotional, feeling the emotions of the deceased. I can have recreations of physical trauma on my body, and also have a knowingness that is very firm. I don't do mediumships too often on the internet because they are very tiring. But they are my favorite. I am well aquainted with my Guides. My father, George, and my sister, Cathie, are 2 of my Guides, plus Mary from Scotland and Kienjo from Japan. So I do process information from people who have passed and I am also open to the client's Ancestors or Guides coming in to help their loved one. PW: Are there any areas you adore working in? (love, career, empowerment)? Or any people you feel that you connect with best (single women who are healing from a past relationship/those who are looking for spiritual advancement)? Satiia: I really love reading about relationships and love, particularly empowerment, and also character and personality profiles. This type of reading is when I read the purity of the relationship (or the hope to have one) with as much accuracy as Spirit is willing to present and me receive for the sake of the person I am reading for. Later, I use Spirit wisdom sometimes combined with my own to uplift the client. I like to give the person I read for a sense of empowerment by showing options that there are various ways to see the information that is imparted that if it is positive it might require patience to come to pass, if it is not, there are ways to transform it into something positive. I have found many people have intuitive abilities that I read for, so I am usually affirming something they already know and empowering them with spiritual confirmation. I believe we all need love to transform, and thus there is more than one soul mate we can meet, but only one twin flame. Twin flames are very tricky, sometimes we are at equal levels with another and if not, we will find it very painful. Sometimes this transforms and a union ensues, and when it doesn't, we have to be honest and look to alternatives to healing, and loving. Nevertheless, we need to understand how very important it is to heal, and this is what brings true success. PW: Any stories about working with a client that you'd like to share or any paranormal/enlightening/near death experiences you feel were significant to your work? Satiia: I have done many, many readings over the years and have found that many people request timelines. I am very particular about educating my clients about them, in that sometimes timelines help and sometimes they don't. It is really up to Spirit to decide whether you would benefit from knowing this or not. My client Bonny was waiting for her Workers Compensation to be approved and her daughter was supporting her while this happened. She was stressed constantly from this. Every year, Bonnie asked me, "When will I get or will I get my Workers Compensation approved?" I told her, "Yes you will get it approved and I get October." Well, October came and went for 2 years and she would ask every year, a couple of times in each year. I felt so bad, but all I got each time was October. I was never given a year. Bonnie's Workers Compensation was approved in October of the third year from when she first asked. The same client, Bonnie, was having a very hard time because she was caring for her cousin who was sick with colon cancer, and she was just worn out. As a caregiver, she loved him dearly and that is why she offered to take care of him, but they both knew his illness was terminal. She asked me when he would pass. I don't like doing these types of timing questions and never do them, but Bonnie had been coming to me for 15 years as my client, and I care for her deeply. This is an example of a time that is destined to occur. I told her he would likely pass on New Year's Eve, and he did. So I don't do these timing readings on life and death often because I have to know a person a very long time, or if I read for the police, I would do it to prevent a tragedy, if possible. Birth and death are serious, but also some meetings we have with others that we need to know for some reason are also destined. I am usually told if it's destined or not. Lastly, for me, I met my Twin Flame who was not at my level spiritually and I prayed and meditated about our relationship, and he was it, the Twin, but he was not right for me this lifetime. He didn't even believe in psychic phenomenon. He often belittled me about this and other beliefs I have, but I received confirmation about him a lot. We were to meet here and now, only to basically say hello, and good to see you again... because a former past life ended in an accidental death for me and a suicide for him. So it is our unconscious souls that needed reunion, and our conscious souls - if LUCKY - would recognize each other at some level. I recognized him but he did not recognize me. It was very painful for 7 years. We were supposed to meet, and I had many readings from many psychics on this. I finally decided against meeting him in this lifetime, as it was not in my best interest - or his for that matter. I stand by that decision today. It was my free will choice, thus, the timing and outcome in other readings shifted because of my choice. Thank you for reading my story! I look forward to doing a reading for you! 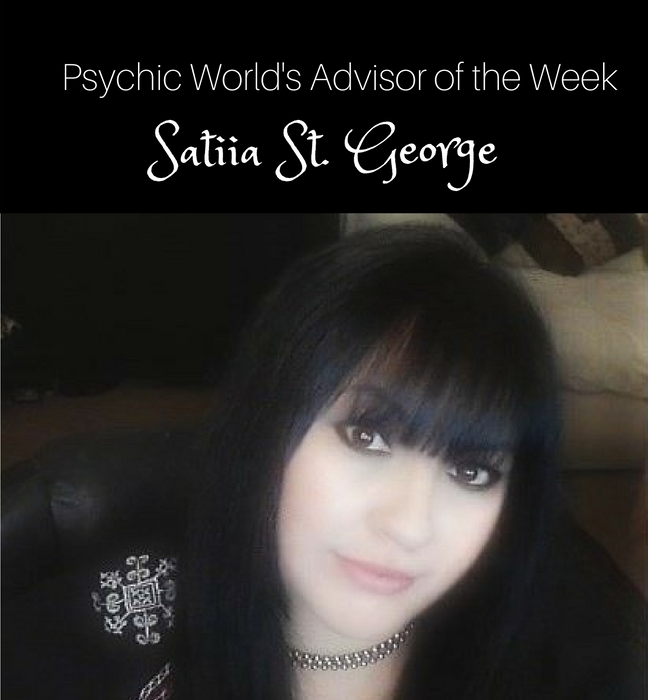 If you'd like to get a Clairvoyant Mediumship reading from Satiia St. George, you can find her online! If she's not currently available, just click Contact Me! to schedule a reading with her.